If just two people stay in the gite (and you can bring a cot sleeping infant, up to 12 months old, for free) we will reduce the rental price by 15%. > This offer offer applies to all dates but is not available via our advert on Brittany Ferries which would entitle you to a 20% ferry discount voucher. To confirm exact prices and to make a booking please contact us here. 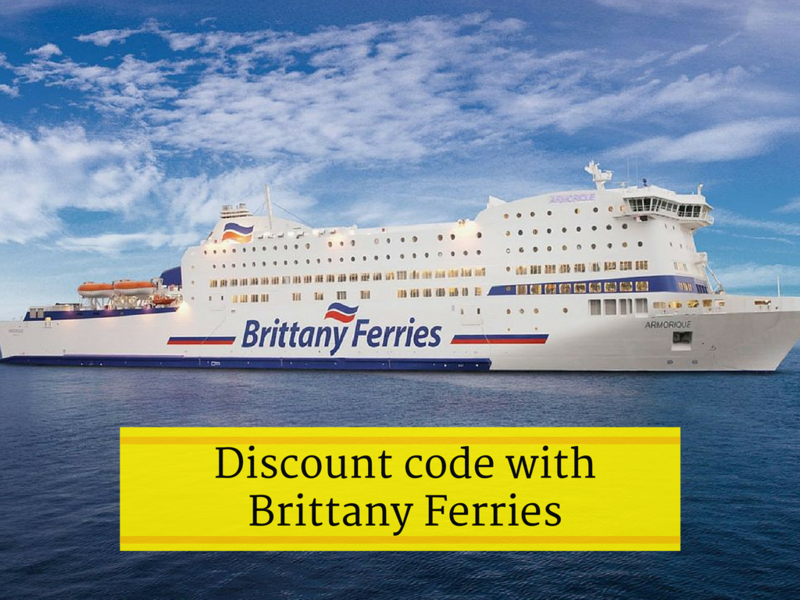 We have a code that gives you a discount off the price of your ferry crossing with Brittany Ferries (Holiday France Direct). If you book a holiday via our advert on their website you will get a discount code worth 20% off. You will find our advert on here on Holiday France Direct. If you are NOT using Brittany Ferries then please do book direct as we pay a commission on each booking made through their site but the price is the same for you, whichever way you book. Thank you! Please note that the Couples Discount is not available if you book via the Holiday France Direct website. Brittany Ferries Terms and Conditions apply.